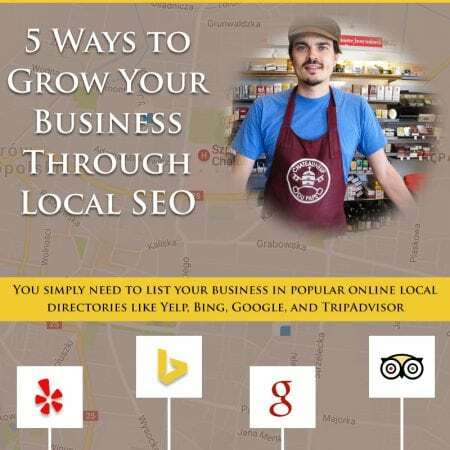 One of the most effective ways of getting clients to your business today is through local SEO. This is because you’re promoting your business to customers who live near it. There are millions of people who are looking for businesses, products and services in these locations daily. When you carry out this strategy for your business you increase the likelihood that these people will see that you have what they’re looking for. Simply put, this is how you optimize and place your website so it ranks on the local SERPs. This helps you get local customers to your business’ physical address, which is why it works best for restaurants and retailers. It’s especially important today as more people access the Internet through their mobile phone looking for specific products and services near them. Of those who run such searches, 50% will actually visit the business within 24 hours. More local customers are going online to find local businesses today instead of looking at printed advertisements. You’ll want your product and service information, along with your business’ address and hours to be easily found by them. When set up properly, 70% of those who land on your website and find the information they need will come to your location to buy something. This number is growing daily so you don’t want to miss out on potential customers here. This search is highly targeted, which is good because these people already know what they want to buy. Through local SEO you’re simply connecting with these people so you can make a sale. You’ll convert a lot more of your website traffic into business in this way. Research shows that local directories’ conversion rates are 50% higher than any other type of conversion today. This is because these directories make it easy to find you by including your business’ name, address and phone number – sometimes your office hours and special details are also included so your customers always receive accurate information. There’s a high demand in regards to searching for companies nearby today. These demands come from customers using their mobile device to find a good deal while on the go. People do still use their desktop computers but only about 42% of local searches come from these as compared to 51% that come from mobile devices. By making sure your business’ website caters to the demands of both types of searches, you’re 70% more likely to win new customers and make more sales. Getting involved in this type of marketing costs you nothing – it’s free. You simply need to list your business in popular online local directories like Yelp, Bing, Google, and TripAdvisor. Doing so will help you save money in your marketing budget while also boosting your business’ credibility and attracting new clients. Besides being free, this is also a great way of getting reviews and social media mentions which improve your reputation even more. Regardless of your business’ niche, you need customers. This marketing trend is growing stronger and more popular each day, which is important to your success. So, when you’re ready to start harnessing this marketing power, rest assured that you don’t have to undertake this endeavor alone. Here at Local SEO Tampa Company we’ve been working with customers in this regard for 10+ years now. We’ve watched as they generate more traffic and their business grows. We look forward to seeing you get these same results so make sure you contact us soon.